Following the lifestyle of western countries, many areas of the globe with booming economies and embracing new habits in daily life are turning to disposable products. 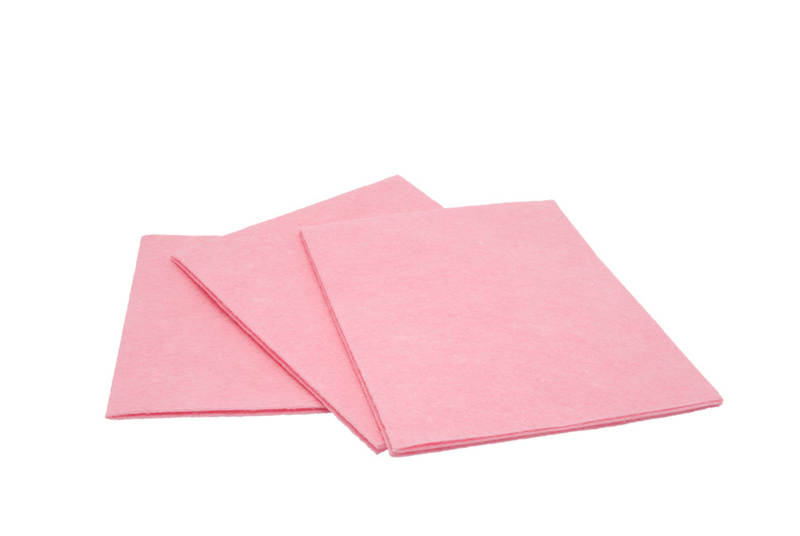 Napkins represent therefore a wide and constantly growing sector that seems to appreciate increasingly more the quality of the napkin itself and its appeal whether in domestic use, for use in the Ho.re.ca market (restaurants, bars, canteens, etc.) and for special uses like découpage. Available in a great range of formats, decorations and types, printed napkins can send emotional messages through their texts or graphics often showing images of high quality. 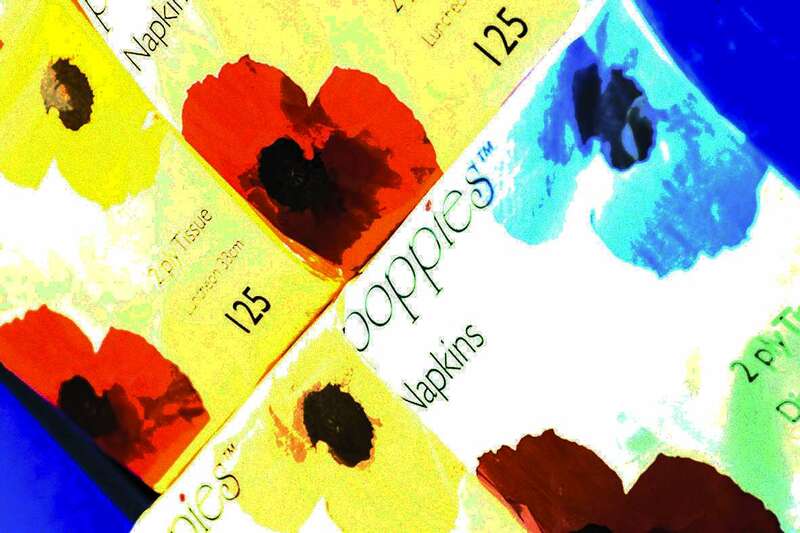 OMET machines can print up to 8 colors and offer the possibility to produce family packs of napkins. 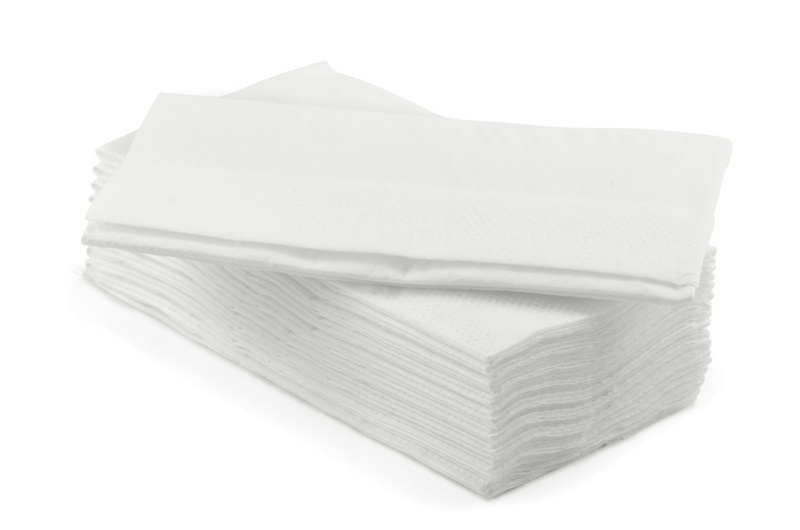 Dispenser fold napkins are those napkins that fit into the dispenser on the bar counter or in fast food chains and whose fold facilitates the gesture of taking the napkin. This type of disposable products suiting the needs of the Ho.re.ca channel is typical of the American market but its use is spreading rapidly throughout Europe. They are produced with vacuum-fold tissue converting machines like the FV Line by OMET. Used in the medical, pharmaceutical and cosmetic sectors, the non-woven products are manufactured using a synthetic product called non-woven fabric which is particularly absorbent and resistant to tearing. Thanks to a special modular unit, the 503 TV line can transform spools of non-woven material in folded and unfolded products like napkins, place mats and other disposable products. Typical of the Ho.re.ca market, place mats (or table sets) are the perfect completion to napkins and increasingly more often they substitute fabric tablecloth in restaurants, bars, canteens, etc. The devices that are necessary for their production easily integrate into OMET TV 503 Line of tissue converting machines, allowing quick start-ups, elimination of machine stand-by and material waste. 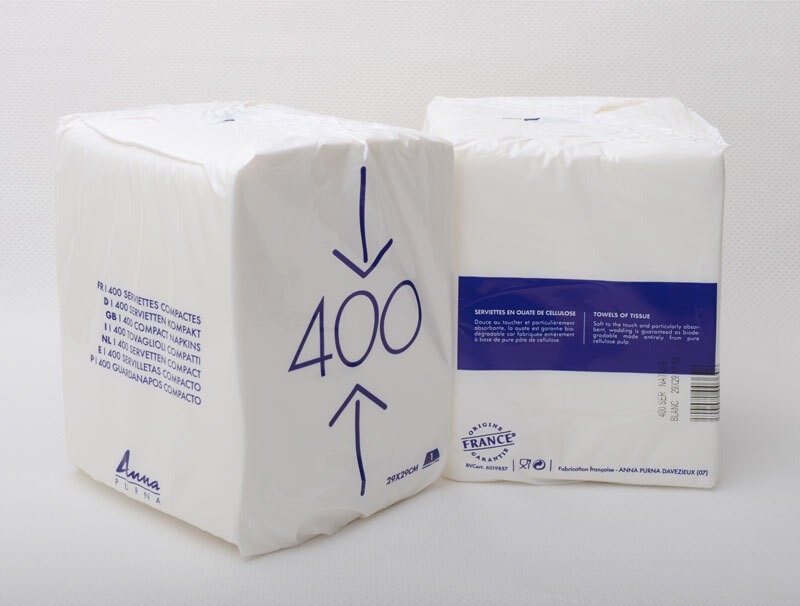 Towels are the second largest application for tissue paper in the consumer market; they are practical and hygienic and can be found in public toilets all over the world in their most institutional role (different from paper towels in continuous rolls used in the kitchen). They are packed individually and sold as stacks. 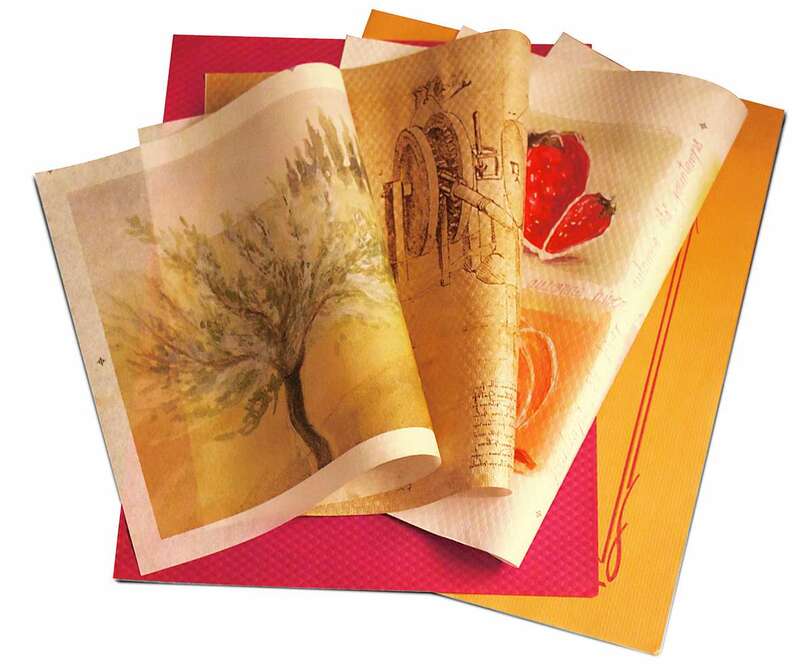 Paper is made from either virgin or recycled paper pulp which is extracted from wood or fiber crops. The AS Line by OMET, completely automatic and digitally controlled, is the ideal machine for large-scale production of paper towels thanks to its excellent performance and extreme reliability. Interfolded Tissues are smart, modern and cost-effective products that are conceived to be dispensed one at a time, therefore being hygienic and waste-saving solutions. 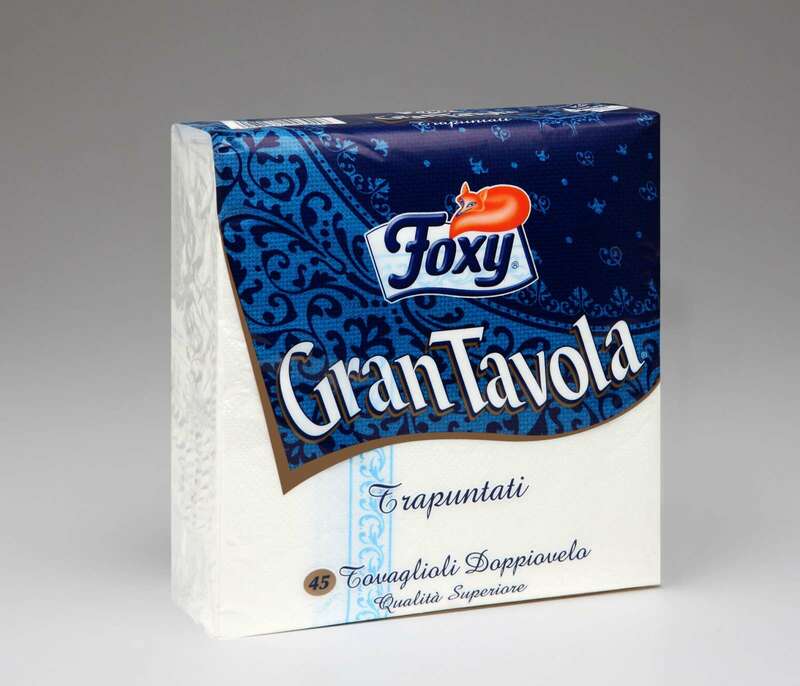 Interfolded products such as paper towels, toilet paper and facial tissues have vastly spread all around the world and their popularity keeps on growing year by year.